Lake Jindabyne:- Jindabyne has been great in the evenings and there is plenty of good polaroiding opportunities when the weather is good. Searching with a woolly bugger will produce a few nice ones or just wander the bank looking for fish and cast a small wet or nymph at any fish found cruising. There is still a heap of weed in many of the bays that is drawing the fish in to the food that it holds. 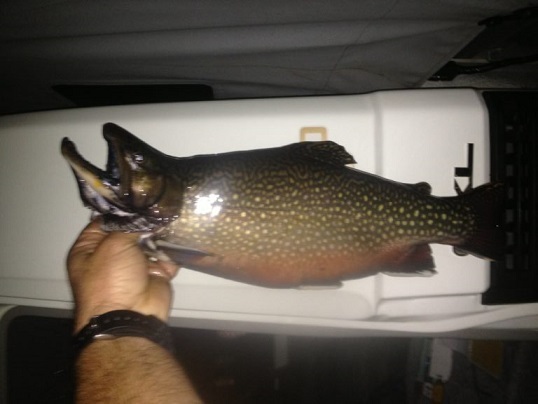 There has been some big brookies Caught over the long weekend around the Snowline Caravan park on woolly buggers along with some good rainbows. Jindabyne has picked over the last week so if you are looking for some good fishing this is the place to be. 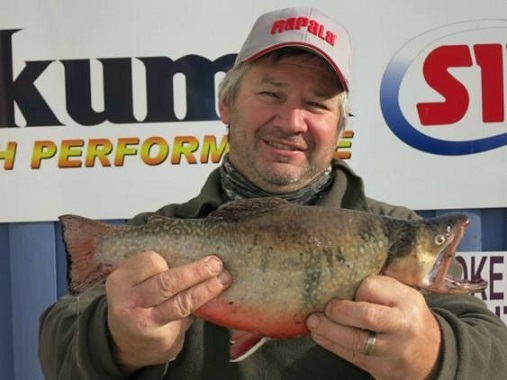 Lake Eucumbene:- Fly reports have been a little quiet in the lake over the weekend but the daytime fishing can still be good for rainbows in the Seven Gates and Buckenderra area. 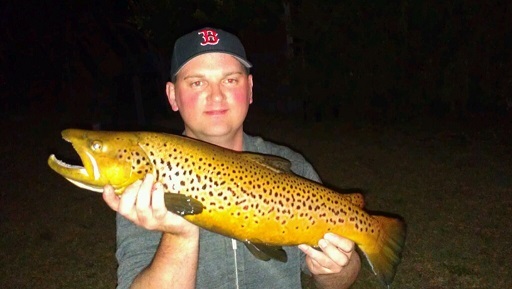 The Angler's Reach and Old Adaminaby areas will be worth a search for some browns returning from spawning, though they can be a little poor condition wise. There are still some good browns around the Mouth of Eucumbene and there will be there for sometime sinking lines or bead head flies would be the best remember if you are fishing the mouth and your walking down from Providence don’t rig up till you get to the lake and un rig when you leave as all rivers are Closed now. Tantangara:- the fly fishing has been ok up the top end off the lake with some good reports there has been a few good browns and rainbow taking olive woolly buggers and Mrs Simpsons with a very slow retrieve. Please watch out for the weather reports as thing can turn very bad up there this time off year. Eucumbene: There's still some nice rainbows being caught down around Buckenderra, Frying pan and Breamar Bay. The Eucumbene dam wall is also a reliable area through winter, and well worth a look on a bright day. For those who are prepared to put in the time and dress accordingly, we'll still see some good fish caught from around the Eucumbene river mouth right through winter as well. You can still fish this area so long as your are outside of any visible flow - which is basically below the last set of rapids in the river all year round. So once the browns have gone, you'll see some big rainbows come through in July, August and September. This is a good time to start using X-Raps, strike pro blades and other minnows lures will start working well now. Tassie devils are working well out in the deeper waters pinks and greens are the pick at the Moment. 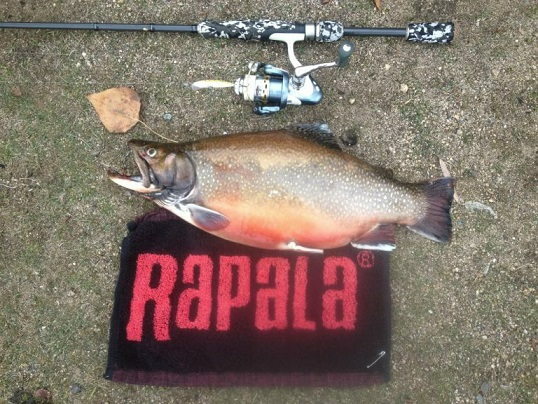 Lake Jindabyne:- Reports from Jindabyne have been picking up with some good fishing around Kalkite, snowy arm, down around the dam wall and the Snowy arm. The fishing hasn’t been that great in some areas but up around the snowy arm and Thredbo mouth the trolling has improved. I’m getting mixed results all over Lake Jindy with good and bad reports so let’s hope things will pick up Soon around there. Jindabyne has picked up as well with the bait but the worms are out doing the power bait at the Moment with some good rainbows and browns feeding on the bottom. Best areas are poo bay, snowy arm, Kalkite, east Jindabyne and the snow line Caravan park.